Kiku's Bagel Basket will have stall on 18th June at Silkwood Steiner School. Live acoustic music,flesh flower,hemp clothing,felting good,hand dyed yarn,organic coffee,&chai,organic fruits & veg,organic eggs,sushi and so on....Click here for more information. 39 Shepherd Hill Lane.Mt Nathan. kiku's Bagel Basket had stall at silkwood market yesterday.It was nice to see new people.I enjoyed to talk to customer. Shakti, thank you very much for organizing this lovely market. 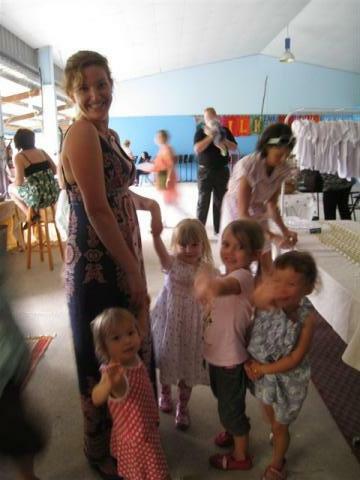 To Jessica, Thank you very much for looking after my girls, I coudn't do this without you. Sammy and Becky had great time. Kiku's Bagel Basket will have stall on 19th March at Silkwood Steiner School. Live acoustic music,flesh flower,hemp clothing,felting good,hand dyed yarn,organic coffee,&chai,organic fruits & veg,organic eggs,sushi and so on. 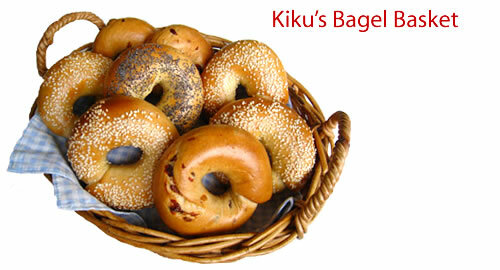 Kiku's Bagel Basket will not have stall until March, but private order is available at any time. Kiku's Bagel Basket will not have stall this weekend.Because it will be wet weather over this weekend.